Map Local Stonework Specialist With Over 25 Years Experience; Walling, Drystone Walls, Block Paving, Patios, Feature Stonework, Property Maintenance. D T Smith Building Services specialises in stonework with over 25 years experience, Duncan Smith offers a wide range of building skills for home and garden projects including; dry stone walling, block paving, patios, feature stonework, fencing, gates, roofing, re-pointing, steps, brickwork, plastering, general repairs and maintenance. Duncan Smith has a wealth of builders experience and a large proportion of his work comes from recommendation and repeat business. Previous projects include building work for private individuals, schools, offices, churches, doctors’ surgeries, hotels and property management organisations. 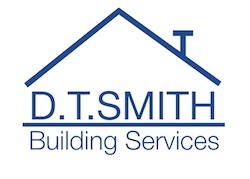 D T Smith Building Services is based Burley in Wharfedale, Ilkley covering all surrounding areas; Ilkley, Ben Rhydding, Addingham, Burley in Wharfedale, Menston, Pool in Wharfedale, Guiseley and Otley. Duncan Smith is a craftsman who takes pride in his work and offers a friendly, professional service. See my website for more information or call me to discuss your requirements.